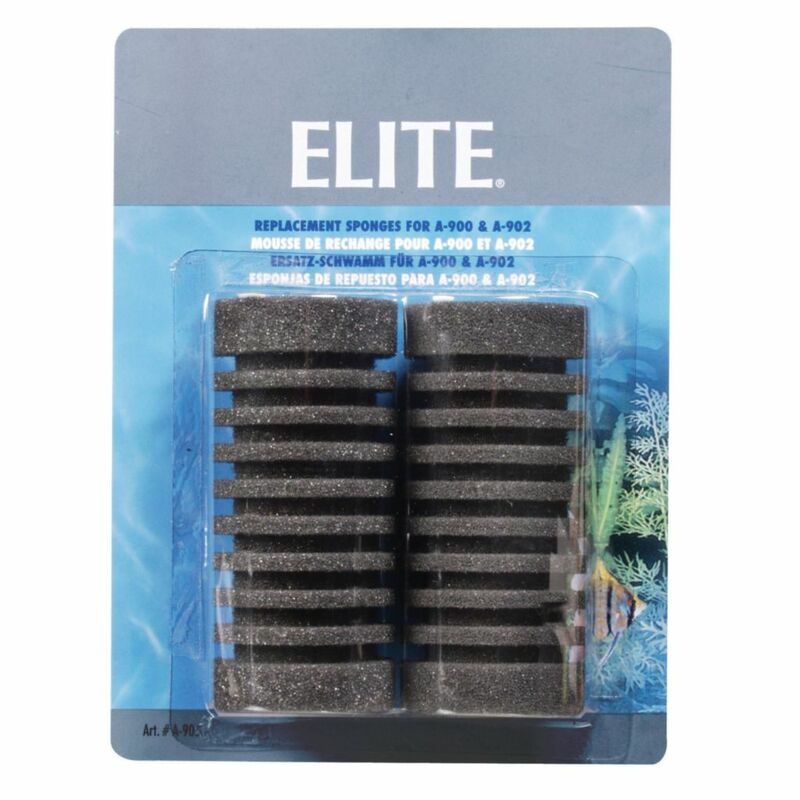 A simple and effective filter. 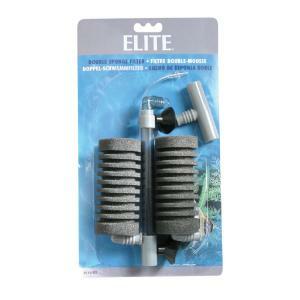 The Elite Double BioFoam Sponge Filter is an air-driven filter that efficiently oxygenates and filters aquarium water. The foam filter performs biological and mechanical filtration by trapping floating debris and providing ideal conditions for beneficial bacteria to grow. 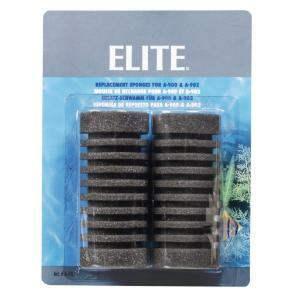 To maintain effective biological filtration always rinse the foam filter in water taken from the aquarium. 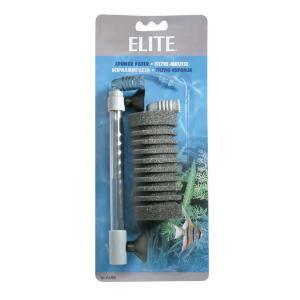 Oxygenation of aquarium water is best achieved by positioning the vertically adjustable outlet at the water surface. 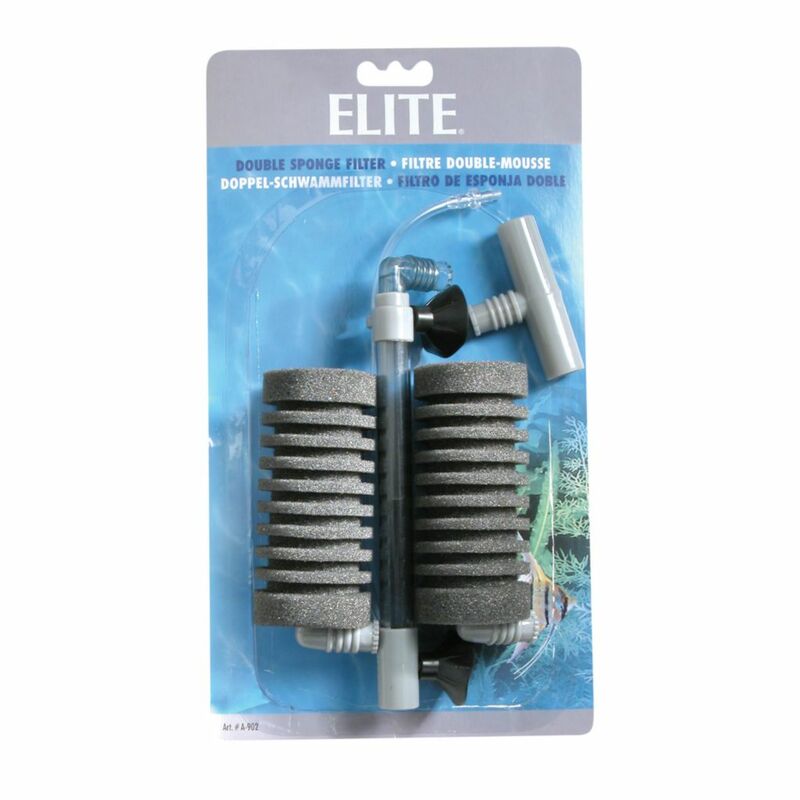 This compact internal filter system can conveniently be installed in a variety of locations inside the aquarium and is completely safe for even the smallest baby fish (fry).